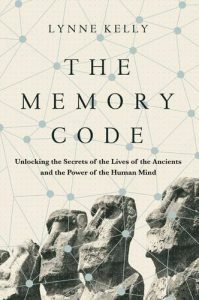 Thank you to those who have been asking about public lectures on my book tour for the publication of the North American edition of The Memory Code by Pegasus Books and the UK / Europe edition from Atlantic Books. There are lots of meetings and other exciting things happening, but below are the public events booked so far. New York: Note that two events were advertised at the same location, different titles, an hour apart. I am not sure if it is two lectures or one! I’ll fix it here when confirmed. IT IS ONE LECTURE AT 3 PM. Saturday 11 February, New York City Skeptics: A Skeptic Tackles Stonehenge: The Memory Code, 3.00 – 5.00 pm, Jefferson Market Library. Wednesday 15 February, National Capital Area Skeptics: A skeptic tackles Stonehenge: The Memory Code, 7:30pm. Rockville Library. Wednesday 22 February, University of Nottingham: Indigenous memory and Stonehenge – yes, there is a link, Workshop and public lecture. 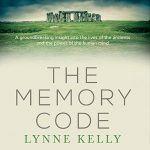 Thursday 23 February, Cardiff University: The Memory Code, Archaeology seminar. This is an in-house seminar for the archaeology department, but there may be an opportunity for other archaeologists to attend. Please contact me for more information. Monday 27 February, Fortean Society, London. Monumental memories: Indigenous memory and Stonehenge. The Bell, 50 Middlesex Street, London E1 7EX. I know some people are coming from further afield for the London events. I will have dinner beforehand in a nearby restaurant to meet up with them. Please let me know if you wish to be included. 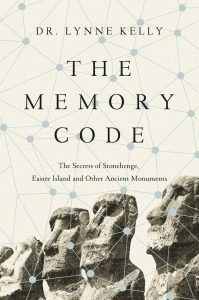 This entry was posted in archaeology, Atlantic Books, British Neolithic, indigenous memory systems, memory, memory devices, memory palace, memory places, Memory Spaces, Pegasus Books, Stonehenge, The Memory Code and tagged Atlantic Books, memory, Memory Spaces, memory systems, mnemonic devices, Nasca lines, Pegasus Books, Stonehenge, The Memory Code. Bookmark the permalink.